Kei hea o putu whutuporo? Where are your rugby boots? Mau te ipu para e hari ki waho. Your turn to take out the rubbish. Rite tonu tana toro i a Pukamata! She's always on Facebook! Kua rite koe mo to whakamatautau pangarau? Have you prepared for your maths exam? Kati te whakatiwheta i to tuakana! Stop teasing your sister! Maori at Home is the perfect introduction to the Maori language. Offering a highly practical, achievable and fun resource for everyday New Zealand families, it covers the basics of life in and around a typical Kiwi household. 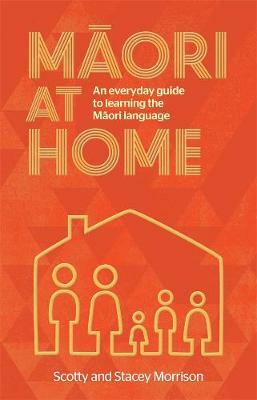 Whether you're practising sport, getting ready for school, celebrating a birthday, preparing a shopping list or relaxing at the beach, Maori at Home gives you the words and phrases - and confidence - you and your family need.